What should happen in the circumstances when a chairperson in a disciplinary hearing finds an employee not guilty of serious misconduct, while senior management believes the employee should have been found guilty? Alternatively, the employee is found guilty, but the sanction recommended by the chairperson is short of a dismissal. Is it possible for management to overturn the decision of the chairperson? The answer is no, an employer may not overturn a chairperson’s decision. To do so would be procedurally unfair. In South African Revenue Service v CCMA & others (C683/11)  ZALCCT 14 (10 February 2015), the Labour Court had to determine whether the employer (SARS) could override the decision of a presiding officer of a disciplinary hearing. The employee, in this case, was found guilty by the chairperson of the disciplinary hearing of downloading pornographic material from the internet. The chairperson recommended that the employee be issued with a final written warning. The employer did not agree with this sanction and, after giving the employee an opportunity to make representations why the sanction issued by the chairperson should not be substituted with the sanction of dismissal, dismissed the employee. The employee’s trade union referred a dispute to the CCMA, where a CCMA Commissioner held that the dismissal was unfair. The employer applied for the review of the Commissioner’s decision. The employer argued that they had afforded the employee sufficient opportunity to make representations as to why he should not be dismissed and thus his dismissal was procedurally fair. The Labour Court relied on the finding of the Labour Appeal Court (“LAC”) in South African Revenue Services v CCMA & others  1 BLLR 44 (LAC) in which the LAC effectively found that the employer was giving themselves a right to alter the decision of the disciplinary enquiry chairperson even though its own procedures only provided a right of appeal to the employee. The only avenue open to the employer in the case under consideration was a review of the decision of the chairperson, which it did not make use of. The court held that the dismissal was procedurally unfair and awarded compensation. Employers are often of the view that a chairperson’s sanction is too lenient or does not fit the offence. This case law makes it clear that an employer may not give themselves the right to overturn a chairpersons decision. The above case should, however, be distinguished from situations where the courts have recognised that it would be unfair to burden employers with decisions that are clearly wrong. 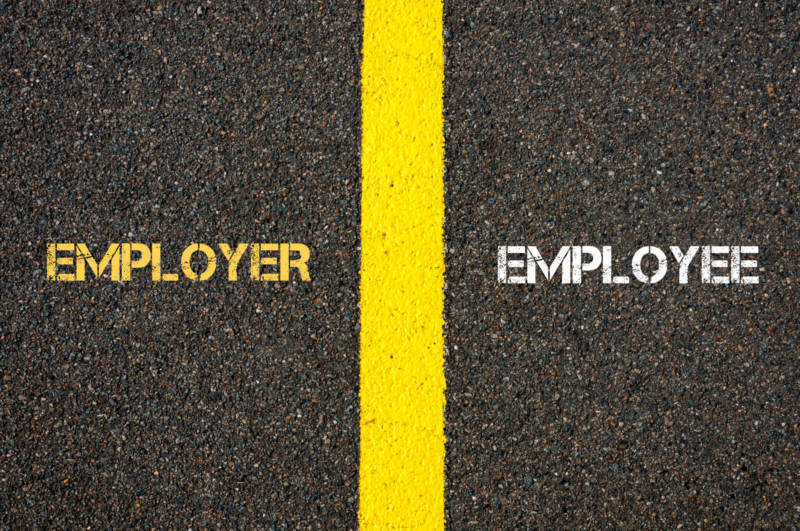 As it will become clear below, the courts have provided some guidance in finding a balance between the rights and interests of the employer and employee. and an employer may not impose multiple sanctions for the same misconduct. However, as is the case with most rules, the double jeopardy rule is not absolute. In BMW v Van Der Walt (JA10/99) ZALAC 28, the Labour Appeal Court held that whether a second disciplinary enquiry may be opened against an employee would depend on whether it is fair to the employer and employee to do so. The same principle would also apply where the employer reconsiders a disciplinary penalty and substitutes it with a more severe penalty (as per Branford v Metrorail Services and Others (DA19/2002)  ZALAC). An employee was dismissed for dishonesty after first receiving a slap on the wrist from his supervisor for receiving payment from rail passengers without issuing tickets to them. The court held that the principle established in BMW v Van der Walt is not only applicable where someone is found not guilty and re-charged, but also to the situation where successive punishments were imposed. or if the initial hearing was not in compliance with the employer’s disciplinary code and the facts involved were not properly investigated. Does it make any difference if the employer’s disciplinary code makes specific provision for management’s power to overrule a chairperson’s decision? Or if it states that the chairperson’s findings are just recommendations and not final decisions? GUBEVU V NATIONAL CREDIT REGULATOR (21151/2018)  ZAGPPHC 288 The applicant was employed as a research and special projects consultant of the respondent on a permanent basis in terms of a written contract of employment until 02 March 2018, when he was dismissed. The respondent had subjected the applicant to a disciplinary enquiry whereat he was found not guilty by an independent chairperson, but the employer substituted this finding to a finding of guilty. The employer contended that their policy grants them the right not to be bound by the outcome of a disciplinary enquiry. It was held that a recommendation made by the external chairperson is with regard to the sanction to be imposed on the employee. If we allow the company to reserve the right to alter and or make a final decision on the guilt of the employee, this kind of power will be contrary to the concept of holding a disciplinary enquiry. The cases seem to suggest that such provisions will certainly assist an employer who wants to re-open a case, but it is not sufficient enough to justify interference. The employer would still have to prove that exceptional circumstances exist and that they complied with the rules when they imposed a different finding. Failure to do this will render the second decision at least procedurally unfair. In conclusion, even where an employer reserves the right in its disciplinary code to intervene with the decision of a chairperson, the intervention must be justified. In principle, an employer is allowed to intervene with the disciplinary outcome if fairness requires it. However, the courts and dispute resolution forums are often hesitant to approve the employers’ intervention where provision is not made for it in terms of the disciplinary code. Carlien Nienaber2019-04-12T14:02:11+02:00April 12th, 2019|General|Comments Off on May an employer overturn the decision of a chairperson?